At the heart of creativity is the practice of bringing something new into existence, whether it be a material object or abstract idea, thereby making history and enriching the creative tradition. A Cognitive Historical Approach to Creativity explores the idea that creativity is both a cognitive phenomenon and a historical process. 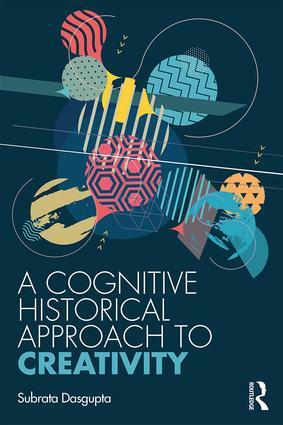 Blending insights and theories of cognitive science with the skills, mentality and investigative tools of the historian, this book considers diverse issues including: the role of the unconscious in creativity, the creative process, creating history with a new object or idea, and the relationship between creators and consumers. Drawing on a plethora of real-life examples from the eighteenth century through to the present day, and from distinct fields including the arts, literature, science and engineering, Subrata Dasgupta emphasizes historicity as a fundamental feature of creativity. Providing a unified, integrative, interdisciplinary treatment of cognitive history and its application to understanding and explaining creativity in its multiple domains, A Cognitive Historical Approach to Creativity is essential reading for all researchers of creativity. Subrata Dasgupta is Professor Emeritus in the School of Computing and Informatics, University of Louisiana at Lafayette where, from 1993 to 2018, he held the Computer Science Trust Fund Eminent Scholar Chair. From 1999 to 2013 he was also Director of the Institute of Cognitive Science. He has authored numerous works on the cognitive, historical and computational aspects of creativity.